Before you bathe a dog (or a cat, guinea pig, or other pet), your first step should be to brush them. It’ll loosen up hair, dislodge dirt and rid them of a few fleas. I put 1-2 drops of high-quality lavender essential oil on the brush to enhance the shine of my dog’s coat, protect his skin and repel fleas and ticks. If your pet is really dirty, especially oil-type dirt, you can brush dry cornmeal into its coat, let it sit for a few minutes, then brush it out. It will absorb all kinds of things. This is best done outside since it will leave quite a mess. And if they happen to eat it, it’s harmless. Diatomaceous Earth (DE) is the pet owner’s best friend. It is a very small coral-like creature that lives in the sea. When the shell is dry, it’s crushed into a powder. The powder is almost like tiny razor blades that cut criss-cross type cuts into the outer shell of invertebrates like fleas, ticks and mites. It’s harmless to humans and pets as long as it doesn’t get into the eyes or nose, to which it could be irritating. 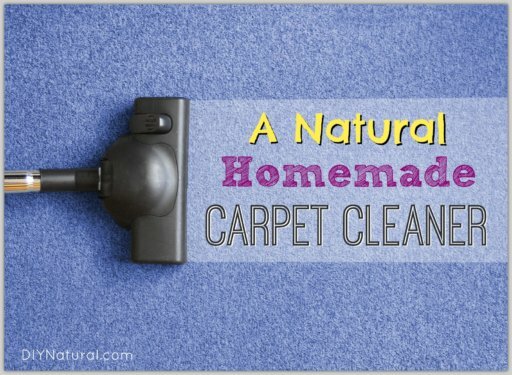 I use it on pet beds, the floor and other carpeted areas. Sprinkle it on, allow it to sit for a day or two and vacuum up the excess. I’ve even used it in birdseed to keep out the Indian meal moths and other such creatures. You can find food grade DE at farm stores or online here. I use it on all kinds of things. On pet beds to repel fleas and ticks, on the dog to repel pests and heal wounds and in the ears to get rid of mites and cure infections. It can even be used internally if there’s a cut in the mouth or something like that. I mix it with some kind of carrier oil like almond or even olive oil. 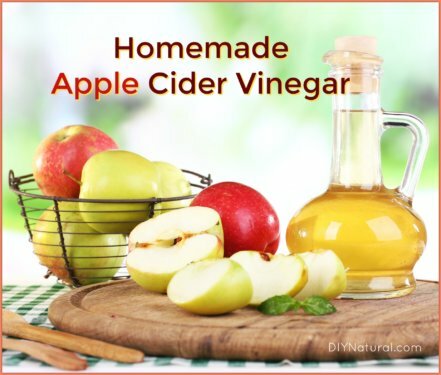 Use about 1 drop to every 1 tablespoons of carrier. 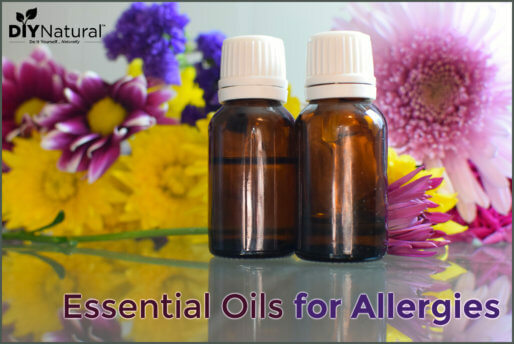 Find 100% pure lavender essential oil here. Cedar shavings not only smell great, they also absorb moisture and repel fleas and ticks. Tip: It’s much cheaper to purchase them at large home improvement stores rather than pet stores. You can also find them online here. Every once in a while Joker gets worms. It’s the nature of dogs that they snuffle at almost anything on the ground. About once every two months I grind up some pumpkin seeds and add them to his food. Within a few hours, most all the worms, including tapeworms, are expelled. I’m not sure how it works, but it really does! Find pumpkin seeds here. My secret to a nice shiny coat is eggs. I take a raw egg, beat it up and pour it on Joker’s food once a week. This really helps keep his coat in top condition, and the extra protein doesn’t hurt either. I mentioned in this article about mushrooms how they helped get rid of the cancer on Joker’s nose three times now. I’ve been giving him one capsule every 4-5 days as a maintenance routine. It seems to be working well, as the cancer has not returned in several months. Mushrooms contain polysaccharides, powerful antioxidants that fight cancer cells. Here is another article on mushrooms dogs can and cannot eat. We need sunshine to produce vitamin D in the body and so do pets. If a pet is kept inside all the time, it can be subjected to darker conditions that can lead to eye problems. If you have an indoor pet, be sure it has exposure to natural daylight through a window or glass door. I can’t say enough about how fresh clean water is beneficial to everyone, including our pets. Though Joker gets fleas on occasion, I help keep them off him with an all-natural flea collar. I don’t believe in chemical flea collars – they just don’t work well, and the chemicals are really strong. 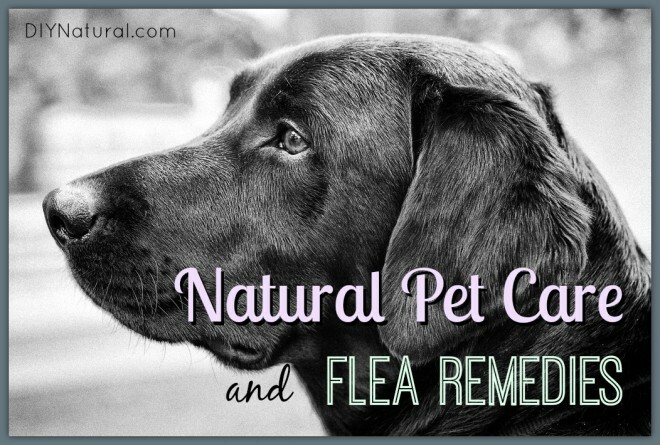 I tried one on my cat before and the only place I found fleas was right under the collar! Pests like fleas can become immune to some of these chemicals, Carbaryl (the main ingredient in Sevin Dust) being one of the most potent. As the fleas become immune, you use stronger and stronger chemicals and eventually it can poison your dog. I’m for the more natural approach. Add the 10 drops of oil to the long edge. Tie on your dog. Enjoy a pest free pet! What natural approaches do you use when caring for your pets? I need some advice concerning our cats. We, too, have had fleas this entire summer and fall. We bathe our dog regularly – every other week or so( I know it’s bad for his skin, but have no other choice since we run a business out of our home and can’t have fleas getting on our clients) and have even resorted to a commercial flea collar because we’ve run out of options. We’ve heard cats are adversely affected by essential oils. Two of our 3 cats are long haired and have very scabby tummies and hind haunch areas. One of them has pulled out most of his fur on his hind legs and surrounding area! We bathe them – only once a month. We put comfrey ointment on them when they allow us to – but, they usually just lick it all off. Coconut oil, too. Help. We need to help them. Even now that’s is frozen outside and they don’t go out much, we are having a hard time getting ahead of the fleas. Any suggestions? Thanks for taking time to help. We all will appreciate it greatly. Took our dog to get her 3 year rabies vax (which I wouldnt do if it weren’t for that darn licensing ordeal) and people must have asked us 100 times what shampoo we use on her because her coat is so darn shiny. Funny thing is, because both my husband and I have been suffering from autoimmune diseases, there hasn’t been much energy for giving our dogs a bath. It has been 3 years! It is, after all, man’s desire to constantly bathe a dog, not the dog’s! But the reason they are shiny and have sparkly white teeth at 5 and 6 is because we feed them real food. After reading about the things they put in commercial food, we stopped buying it. It’s disgusting! My dogs get meat, veggies, rice, liver, egg yolks, whole milk yogurt and broth made with chicken feet. (sorry, the good broth is for us!!) Their breath doesn’t stink and neither do they. When I brush them, I put lavender on the brush and comb it through, but other than that, until I get well, feeding them really well and sidestepping baths is all I can do. But it does seem to be working! Great info for natural pet care! I have an unrelated question about pet care. I have family members with a very small dog that gets car sick. The natural stuff (unsure what they tried) the vet told them about didn’t work, and they didn’t want to try the potent prescription solution. Any suggestions? Travel during the holidays can be stressful enough for all, but add a sick dog and no one wants to leave the house. I have read of a folk remedy used by past generations of country folk to rid their children of tape-worm picked up by playing outdoor where animals have spread the worm. The grandma would have the kid eat a lot of pumpkin seed (no mention of grinding, but that probably gets the job done for dogs with less quantity of seed). The rationale given was that the pumpkin seed contains a mild opiate that sedates the worms so that they loose their grip on the gut and will be expelled along with normal excrement. Supposedly the opiate is too mild to have noticeable effect on the child. I have no idea of the validity of that stated mechanism, but that proposition at least gives you a direction for further research. I sprinkle my carpets with 20 Mule Team Borax, leave it 30 minutes or so and vacuum. My dogs have never had the flea treatment at the kennel when we go on vacation because they don’t have fleas. I don’t do the drops on the neck or flea collars either. The borax that is left behind in the carpet also helps when I steam clean my carpets. They come clean beautifully. When my dog is smelly and I don’t feel like giving her a bath, I rub baking soda into her fur. I just leave it there since it causes no harm and de-smells the carpet and her bed as it falls off as well. She doesn’t mind one bit and it works great. Also, I just learned about a natural product that works to remove plaque and buildup from their teeth that comes in a gel or liquid form. The vet told me I would have to have a $1500 procedure performed, including putting her to sleep, to have her teeth cleaned because my pup’s not a big chewer. I haven’t gotten it yet, but I’m looking forward trying it. ProDen PlaqueOff Animal does not rely on topical application or friction. The product is ingested and works systemically. The natural compound in the product comes out through the saliva and works to break down the bacterial biofilm that forms on the teeth and gums. This is how the natural bacteria in the mouth take hold onto the teeth and gums, colonizing and creating the oral problems of plaque and tartar, bad breathe and gingivitis. It does not change the pH of the mouth or kill off the normal levels of bacteria. ProDen PlaqueOff has been proven to reduce plaque and tartar on the teeth and gums, depending on composition, diet and how long it has been there. It then works to prevent bad breath, plaque and tartar from returning. Patients generally begin to see results over a 2-8 week period, and will see further benefits with continued use. ProDen PlaqueOff Animal is made from a specific strain of selected seaweed harvested from above Scandinavia. This seaweed has developed a natural defensive mechanism against bacterial biofilm. The product is made only from this seaweed and has no additives or chemicals added. It is human grade and human tested. THis is a great list! It’s so frustrating to find so many natural remedies for humans available but only chemical-laden products for our pets. I use diatomaetous earth regularly on my carpet to keep any creepy-crawlies at bay, and it seems to be very effective. One major caution though: I have read from numerous sources that it is EXTREMELY dangerous to inhale, like to the point that one should wear a mask when putting it on carpet and use a vaccuum with a HEPA filter when cleaning it up. Also, you can use DE to deworm in similar manner that you used pumpkin seeds. You can just mix it in with their food and keep things nice and clean inside of them. Just make sure you get food grade!! i loved this useful tips, joust have a little question, which pumpkin seeds are you talking abaut, and if the ones with tough shell, do i grind it with, or joust the seeds. Do you have any suggestions for dry skin? I have a Morkie and her back has black flakes and even little, I guess I will call them, scablike bumps that I tend to pick at. The first time I saw them I thought the black was fleas, but I showed the vet and he said it was just dry skin (she has that pig-like skin markings (mottled black and regular). I thought about putting cow salve on but then though she might get greasy. Please only feed the raw egg once a week. Raw egg whites contain a protein called avidin which binds biotin (this protein is deactivated when the egg white it cooked). Biotin deficiency is rare, but consuming too many raw egg whites can cause it.